I read this collection a few years ago and was very impressed by it. 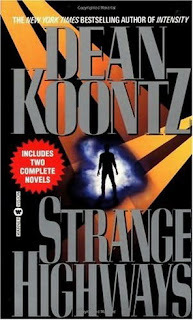 Who knew Koontz was so good at the short story? I think this collection is the only short story collection he has. After I read your review, I read "Twilight Of The Dawn" again and agree, that is an awesome story. Considering the theme, he walks a fine line in that story and does not end up delivering some kind of heavy handed religious message like he could have. I thought his telling of that story was masterful.